John Cook and several other volleyball players when cook was an assistant, Scott Frost, Anna Deforge, entire women's basketball team for a few years off and on. A few football players at the time like Mike demps and played a bit with Luis Truscott, Larry Florence and Rodney Fields. You should shut your mouth and stop spewing things like that on a message board. YOU are over line. You should go back to clutching your Tim Miles FanBoy photos and NIT bracket contest. You can’t be talking about me. I’m more bullish on the future than the Tim Miles NIT fan club. Talking about the past isn’t pessimistic. Pessimism is used in regards to the future. Check out the B10. Whose program has been worse? Rutgers? How about the B12? Nebraska was easily the worst. How about the P12. Nebraska is easily worse. SEC and ACC, no one worse? It’s okay to admit this has been relatively pathetic. A winning record in college basketball is not hard when you schedule noncon patsies. I’ve been enjoying the ride. You were busy fretting over the NIT and our roster if we fired Miles. I’m happy as a clam and have been as soon as the news leaked. Uncharted territory here. This is big. It’s consistently competing for championships big. Bob Devaney arriving for football big. Forget Miles and forget the past. This is a whole new era and attitude. 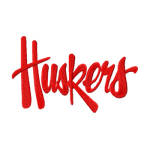 How many conference championships does Nebraska have, how many conference tournament championships does Nebraska have, sweet 16 appearances, final fours, top 2 finishes in league play, NCAA Tourney wins..........Nebraska is historically one of the worst P5 programs based on those metrics. Wins against IUPUI and random crap teams in "money" games isn't how success is measured. It's time as fans to think differently because we now have an AD department with full financial support to break all the glass ceilings listed above and the coach to do it. I don’t think it matters now. Its what the AD department had to do to make sure the lower bowl would be full. The old A and B sections at Devaney were full of football donors that rarely attended or were JaySkers. The tickets were cheap so of course they would buy them. When they moved to pinnacle they rewarded the basketball donors (rebounders club ect.) and made football donors also donate for basketball seats which is still the rule today so.........IF there are 100 level seats available (which I don’t think have been since the arena opened) you would have to hope your points get you a chance at those seats then pay a $300 donation per seat for 100 level and I think it’s $750 to be in the club seats which are glorified 100 level seats. You were a Miles apologist. It’s okay. You can admit you were wrong now. It’s great to be horribly wrong when it benefits your team. You pretty much had to be a donor for basketball only in the Devaney Center days. That’s when they separated football donation level from basketball. People like me in the C level were then given 100 level seat options. Can’t imagibe their is much turnover in those seats since the donor level is reasonable. Think it’s $300. Lincoln is one of the best college cities in the country. Most university towns are cow towns.